Touch Foundation saves the lives of mothers and newborns by leading implementation of Vodafone Foundation’s M-Mama* program in Tanzania. M-Mama improves the health system and creates an emergency transportation system to ensure mothers have access to quality care during and after pregnancy-related emergencies. Almost half of all Tanzanian women giving birth at home do so without the care of a skilled health worker. Mothers and newborns die from treatable birth complications due in part to weak health systems and delays in accessing care. If governments, donors, and civil society collaborate to expand proven solutions, we can achieve the Sustainable Development Goals related to maternal and newborn health. We launched M-Mama in 2013 with Vodafone Foundation and The ELMA Foundation, and in collaboration with the Government of Tanzania, Pathfinder International, D-tree International, and other partners. This program addresses the high rates of maternal and neonatal mortality in rural areas of Tanzania by reducing delays in access to care and improving the entire health system. Together with our partners, we aim to improve the quality of and access to care at health facilities, and leverage innovative digital solutions to provide transport to mothers and newborns in an emergency. We improve elements of the health system, like the health workforce and infrastructure, to ensure mothers and newborns receive lifesaving care quickly. We train healthcare workers, including nurses and midwives, in Emergency Obstetric and Newborn Care. We also build, refurbish, and equip new infrastructure at Treat & Train regional and district health facilities, such as Caesarean-section operating rooms, neonatal intensive care units, and labor wards. The central component of M-Mama is an emergency transport system to address complications as quickly and effectively as possible, recognizing that many fatal pregnancy complications are difficult to predict. This innovative transport solution uses digital technology to triage a patient remotely 24/7 and then dispatch an ambulance or community driver with a vehicle to bring the patient to a health facility. We expand the impact of our maternal and newborn health work by integrating it with non-communicable disease services. Working with Medtronic Foundation, AstraZeneca, and other partners, we ensure women have access to cardiovascular disease screening and treatment in order to diagnose and manage any potential complications. Touch Foundation is committed to developing cost-effective solutions to complex challenges. Our in-depth analysis of the M-Mama program showed that, in the context of rural Tanzania, the creation of a cost-effective emergency transport system has the potential to significantly reduce maternal deaths. In one of the districts where the program was implemented, the maternal mortality ratio fell by more than 27 percent. Communities and health facilities are benefiting from the use of the emergency transport system. In fact, the volume of emergency transports has tripled now that the system is available. Even with the increased number of women and newborns reaching health facilities with life-threatening complications, the fatality rate for these patients at the referral hospital decreased by 88% in the first two years. M-Mama has reduced the number of maternal deaths within only a few years and is estimated to cost $2,000 per maternal life saved, representing a highly cost-effective solution. 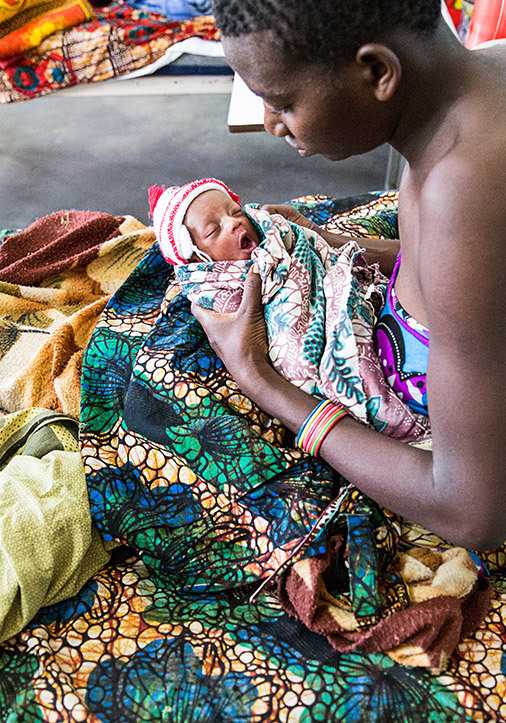 M-Mama is scaling up to an entire region of Tanzania, serving more than 90,000 pregnant women and their newborns. To provide even better care to rural Tanzanians, we are improving healthcare worker training and infrastructure at health facilities located closer to the communities. We are building the capacity of health facilities so they have the tools and skills required to treat neonatal conditions like birth asphyxia closer to the communities, where the life-threatening emergencies present quickly. M-Mama is a demonstrated cost-effective intervention to improving health and saving lives of women and newborns. Vulnerable populations across low and middle income countries lack access to health services due to poor and unaffordable emergency transportation options. Working with our existing and new partners, we are seeking opportunities for this this solution to be adapted and scaled in other countries with similar settings to increase its impact. * M-Mama was formerly known as Mobilizing Maternal Health.